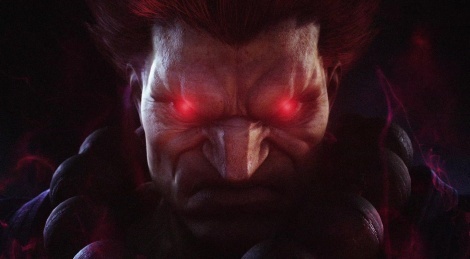 Back in December when Gouki was revealed for Tekken 7, there was no good quality version of the trailer until a high bitrate version appeared last month, so here it is for those who might be interested. Gouki!!!! Master of the Dark hedou! We are not worthy! Lei and Nina shall be your servants, when the controller is in my hand! 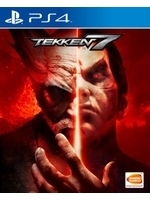 Kinda weird but interesting as the tekken team seem to have tried a bit harder to keep the sf style with the character, unlike the awful SFxTekken. Well, he doesn't seem to operate quite like other Tekken characters. Combos and stuff seem to work more like in SF for Gouki, from what i hear. He can combo and link from normals, and doesn't need launchers like Tekken characters, i think. Not 100% sure about that though, but i remember hearing something like that from a video analyzing the little gameplay bits we saw in the trailers. At any rate we will know for sure pretty soon as the arcade release for FR is just a few months away. Whether it's great or not obviously comes down to how well they implement and balance things. If they do a good job with it, i think it will be cool. He will be completely unique in the roster. If they fail, obviously he will just be unbalanced garbage that at worst is broken, or at best just never gets picked. Favorite character from Street Fighter.